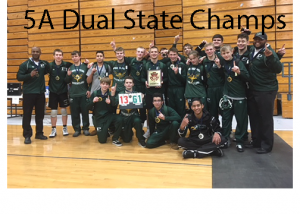 Home » featured » Prosper Wins 5A Dual State with Dominance. Prosper Wins 5A Dual State with Dominance. The Prosper Wrestling Team has been getting it done this season winning and/or placing in every tournament they’ve been to this season. 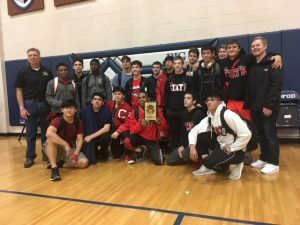 Now they got a 5A Dual State Title. The #1 ranked team in the coaches polls backs up it rankings. Congrats to Prosper Wrestling Team. Thanks to all my reporters for updates, emails and Pics. Texas only Collegiate Wrestling Program making News.